Valhalla, N.Y., April 16, 2015 – FUJIFILM North America Corporation announced the new FUJINON XF16mmF1.4 R WR, a weather-resistant, fixed focal length lens (24mm in 35mm format equivalent) that delivers a dramatic wide field of view and stunning image performance. The F1.4 maximum aperture in the XF16mm gives users extraordinary image quality in low-light conditions, and pleasing bokeh-rich macro photography with a minimum working distance of less than 6” for numerous creative photographic possibilities. The XF16mmF1.4 R WR features a high-speed autofocus of 0.11 seconds, a weather- and dust-resistant structure that can work in temperatures as low as 14°F, and great portability thanks to its compact size. The XF16mmF1.4 R WR includes a depth-of-field scale on the focus ring that is perfect for landscape, travel and street photographers who want to calculate the distance, adjust the aperture setting, and shoot spontaneously. The XF16mmF1.4 R WR pairs perfectly with the award-winning FUJIFILM X-T1, a weather-resistant premium interchangeable lens camera with a large OLED electronic viewfinder (EVF). It has the latest generation 16.3 Megapixel APS-C X-Trans CMOS II sensor and an EXR Processor II that allows photographers to capture amazing, high resolution images anywhere. 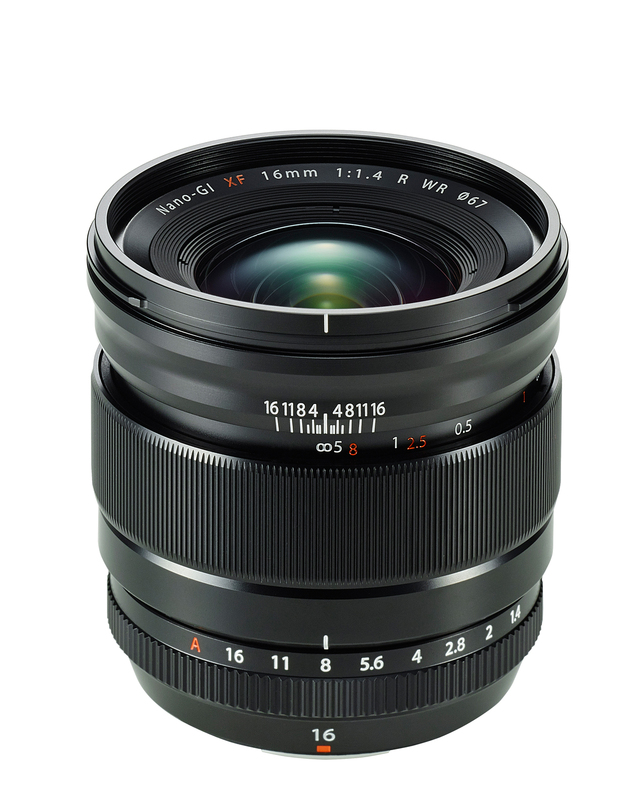 The FUJINON XF16mmF1.4 R WR will be available in May 2015 for USD $999.95 and CAD $1149.99.